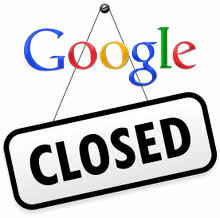 Say 'bye' to few more Google products & What's next? | NewbieTechTips! Say 'bye' to few more Google products & What's next? Recent of them are Latitute - A location sharing service, GTalk - A Chat/Messenger service and Alfred. The chat client on Android will also be replaced by Hangout in the coming updates. Some of the services got more attention by the netizens as compared to others like in case of Google Reader. When Google announced end of Reader due to decrease in its use because of social media, there was a huge uproar from the online community. there was even a petition signed by >100,000 people saying Google to keep Reader alive. Well I can see the connection here. Most of these services are being replaced by Google+ integrated service, like Gtalk by Hangouts, latitute by G+ locations etc. What Googke is trying to is to promote Google+ on the expense of other services. Virtually now Google+ will not remain optional any more. Users have to login to G+ profile for using many of these services, like to use chat you will need to have a G+ profile to use hangout. Some other product were discontinued because they are a hurdle to Google Premium products, like in case of Google Apps Standard (Free) edition. It was a big hurdle in way of Apps for Business which is a paid service. And sometimes its beacase of migration to some other google product like Google Checkout. This decision was not made lightly—ultimately, we decided our focus is best concentrated on other areas of the payments space. As we begin to sunset this product, you can expect to see a number of changes through 2013"
I understand that Google is constantly trying to improve its products to provide better user expirience, and as far as I know Google is the largest provider of Quality services and products for Free to it's users. But many times their decisions are not user friendly, like with reader and now with Chat. I have used Hangout on Android and I totally don't like it, it lacks a lots of basic features and it is too bulky for a simple chat app. I think, Next comes Picasa. Google is already redirecting all the Picasa visitors to Google+ Photos, and the day is near when finally google will announce the end of Picasa too. Its also looking obvious that in few more months, blogger comments will be replaced by Google+ comments by default. I am also afraid if there is end of Feedburner, in few last months Google has shown that feedburner is not important to them by ending the feedburner blog and Adsense for feeds also. I hope Google keeps its products going and we will never see our loved Google Product retire.